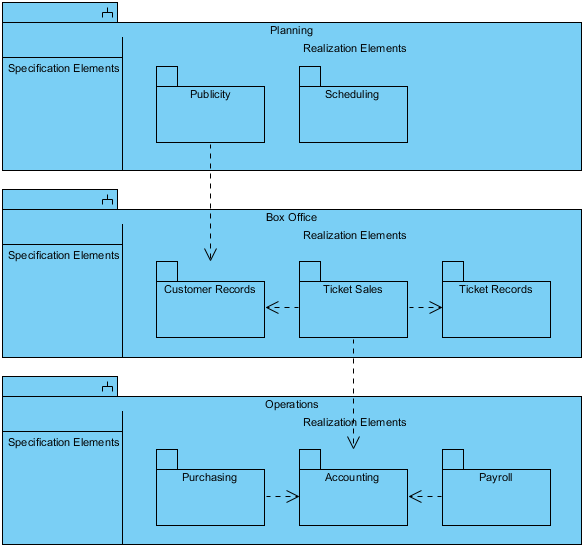 Arrange and organize model for large-scale project with package diagrams. 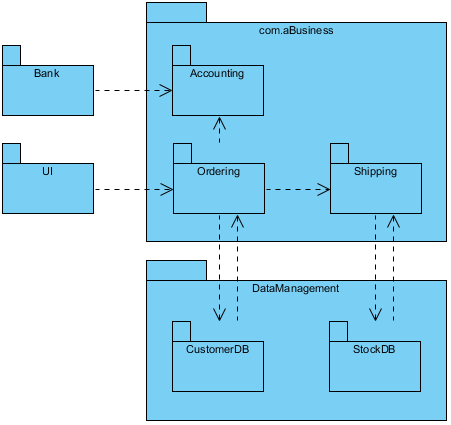 Package diagram is also good in visualizing structure and dependency between sub-systems or modules. Check out the Package Diagram examples here.